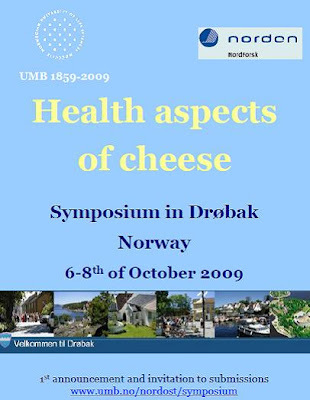 The seminar will focus on health aspects of cheese with a special attention paid to Northern European cheese varieties. Four main sessions will be held, each introduced by a major review paper. Poster presentations allowing direct communication with the authors will complement the oral programme. 4. Session: Too low fat cheese for health? The seminar will be held in Drøbak (Norway) at the Oscarsborg Hotel & Spa.